The college I graduated from, LIM College, is having a Holiday shopping party and I'd like to invite YOU!! There will be refreshments, appetizers, makeovers, and wonderful fashions. Unfortunately, I won't be present but my intern Jackie will be there representing Audrey Allure and will be live-tweeting @audreyallure! RSVP at the link above on the invite! Where will I be that night? I'll be at the Lucky Magazine Lucky Shops event, having the amazing opportunity to walk the red carpet! Morning of, I will be having an intimate lunch with the editor-in-chief of Lucky Magazine and Jane Iredale, mineral makeup founder of Jane Iredale cosmetics. Follow me on Instagram & Twitter for updates throughout the day! Want to also attend the Lucky Shops event this weekend? 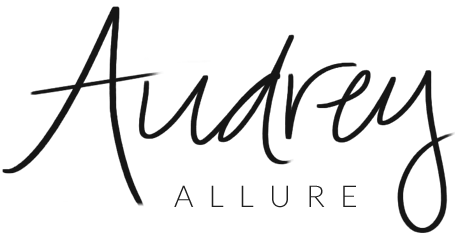 You can still buy tickets here and enter AUDREYALLURE for a 20% discount off tickets! Audrey!! :) New follower here, backreading and Im hooked :) love the blog! Looks like a wonderful opportunity, sounds amazing! How I wish I lived in the same country, this sounds so fun! Looks like it will be a great event. Have fun! This is why I wish I was in New York, so that I could attend all these amazing events! I'm with you Miranda! That would be nice wouldn't it? Have fun whoever is going! And, the Lucky Magazine event sounds pretty good too, lol. Another great benefit of living in NYC. Have fun at the event. Too bad I don't live close enough! Sounds like a lot of fun though. this is such a fabulous event!! !